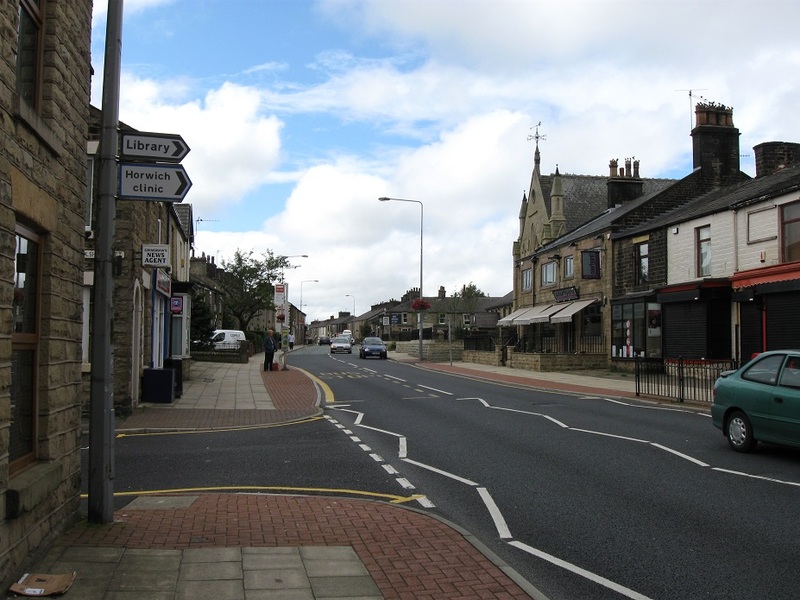 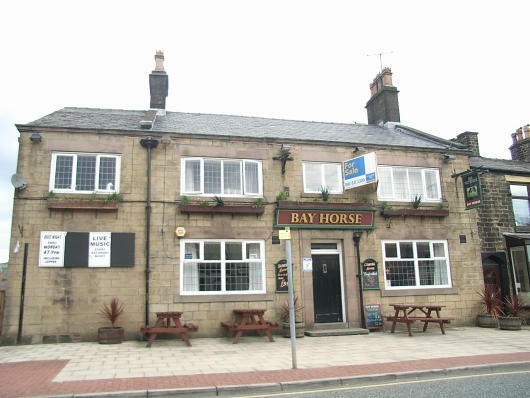 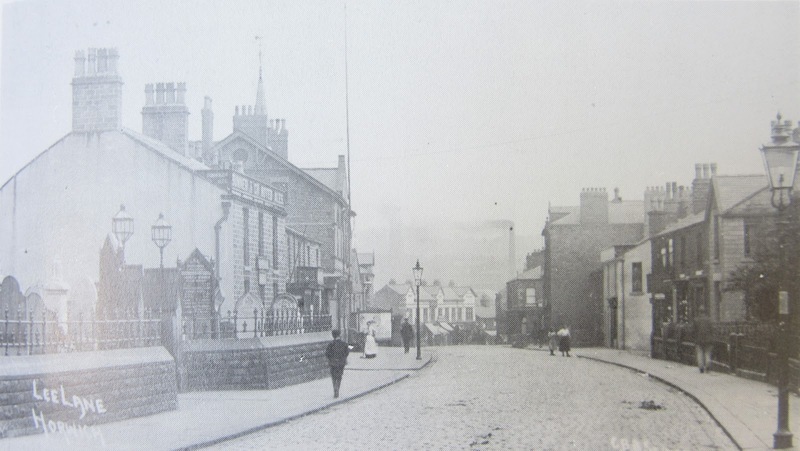 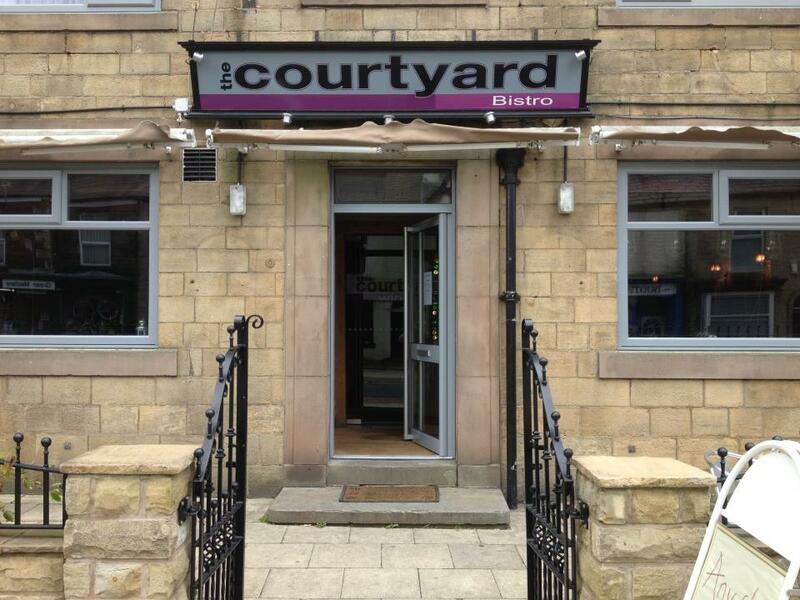 The Bay Horse was Horwich's second pub by this name, the Original Bay Horse being located further up Lee Lane near the Crown Inn. 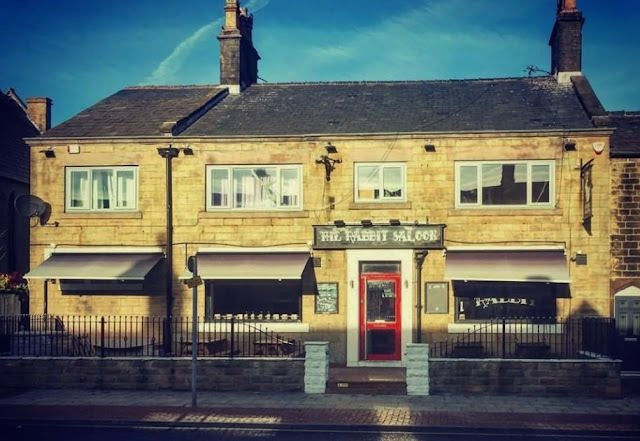 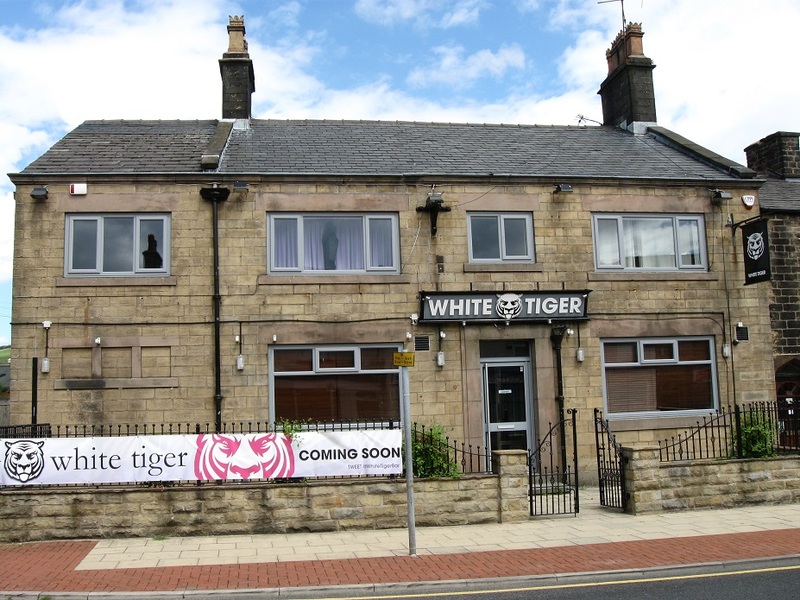 It was opened sometime in the 1850s and more recently has undergone a number of reincarnations including the White Tiger Bar, Courtyard Bistro, Rabbit Saloon and most recently, Tails & Ale. 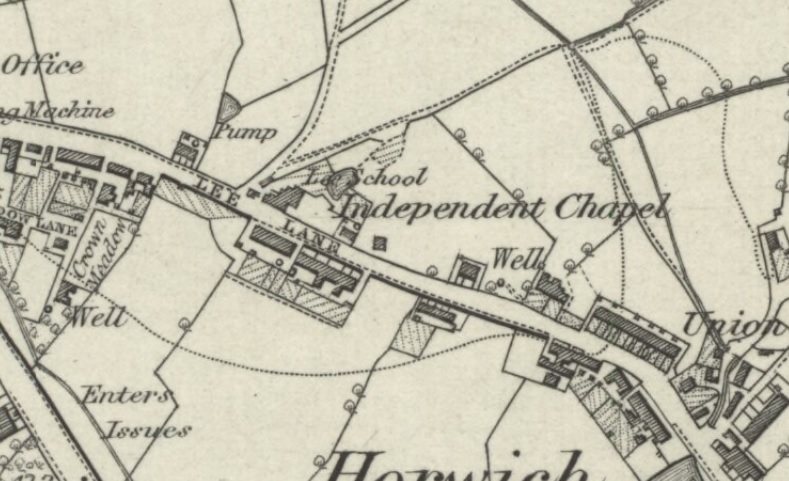 The Bay Horse had not been built at the time of the 1845 map shown above; positioned next door to the Independent Chapel on the eastern side the beerhouse was built sometime over the next 15 years. 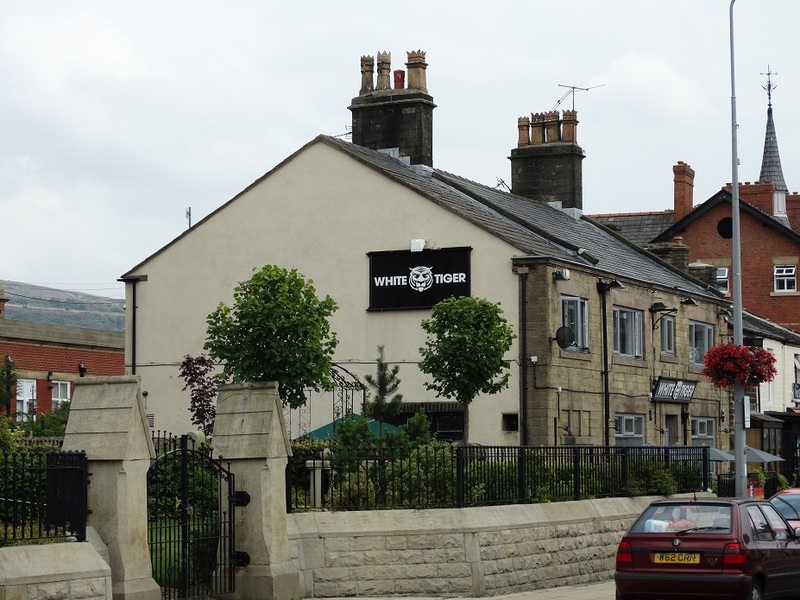 Listed landlords at the pub were Peter Valentine (1860), Richard Crompton (1869-75), Esther Crompton (1875-1907), Matthew Taylor (1911), William Holt (1924) and Sabina Jane Dawber (1943). 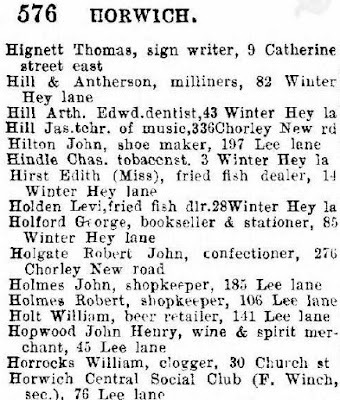 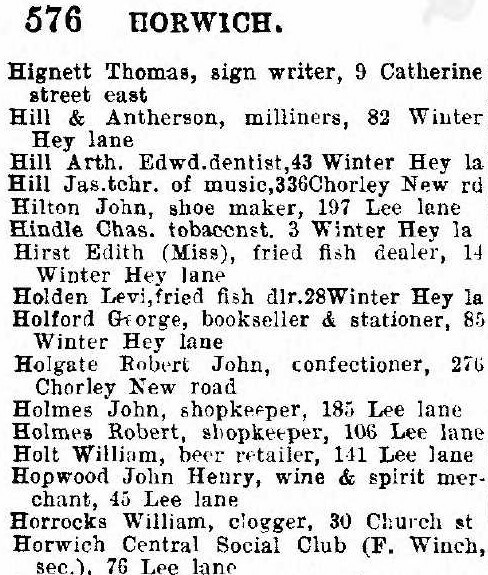 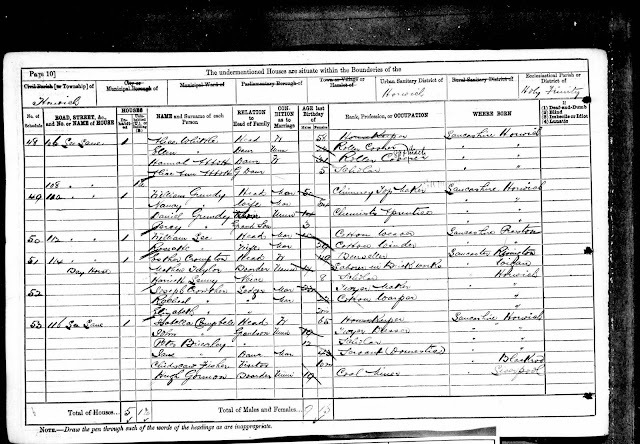 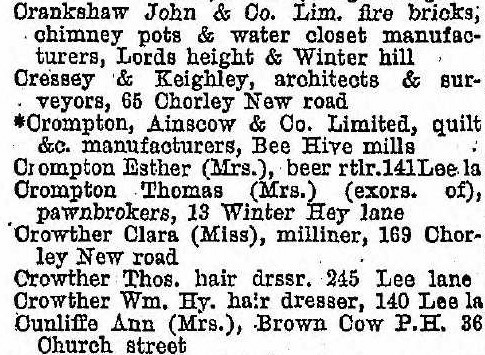 The directory above shows Richard Crompton listed as a beer seller in Horwich in 1869. 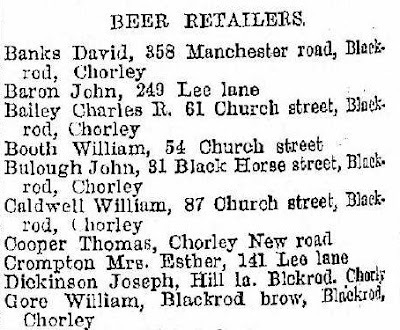 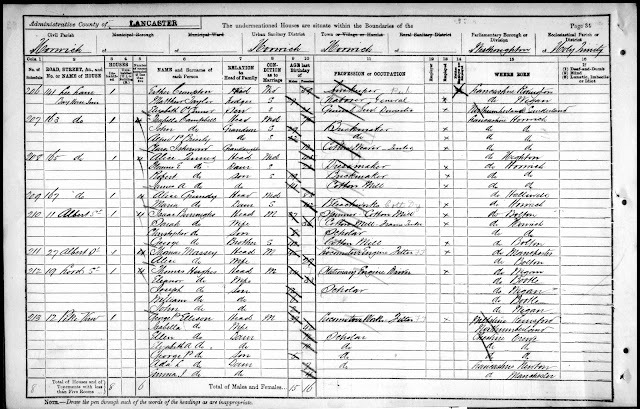 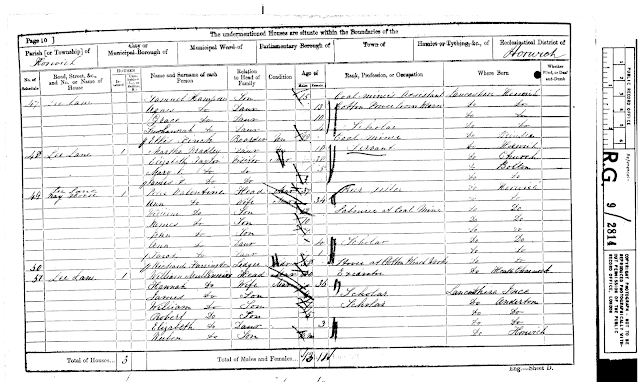 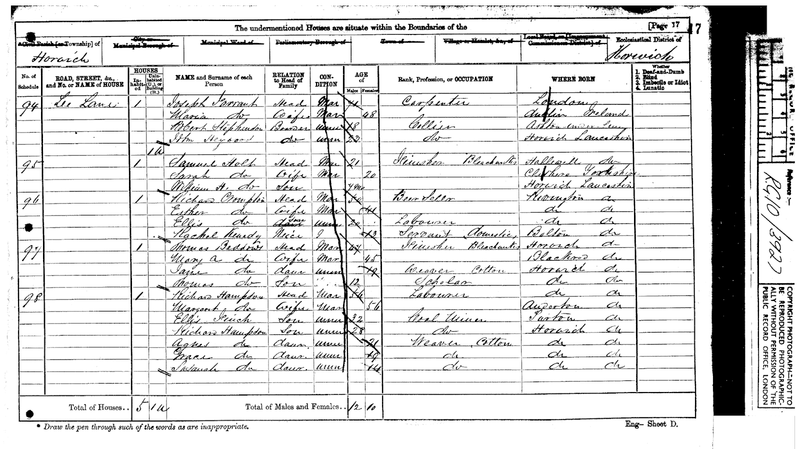 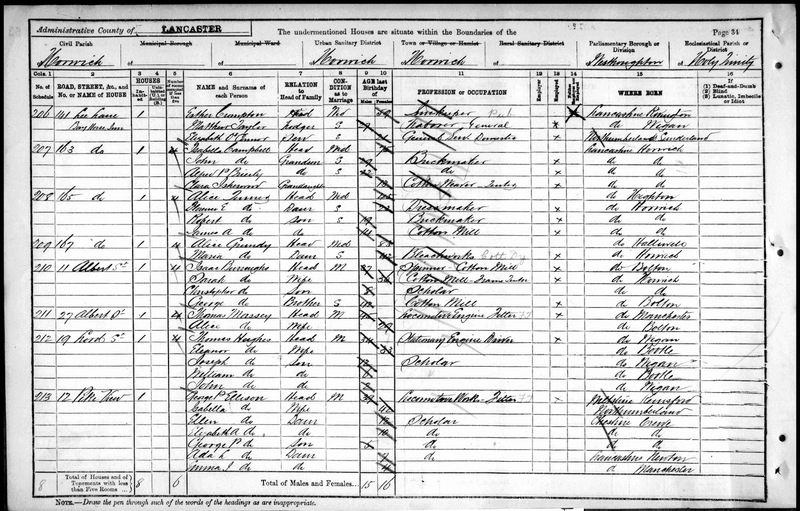 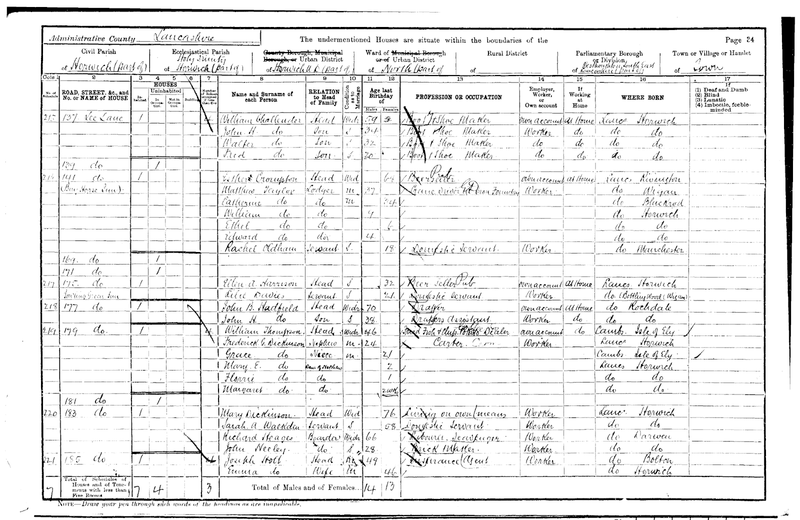 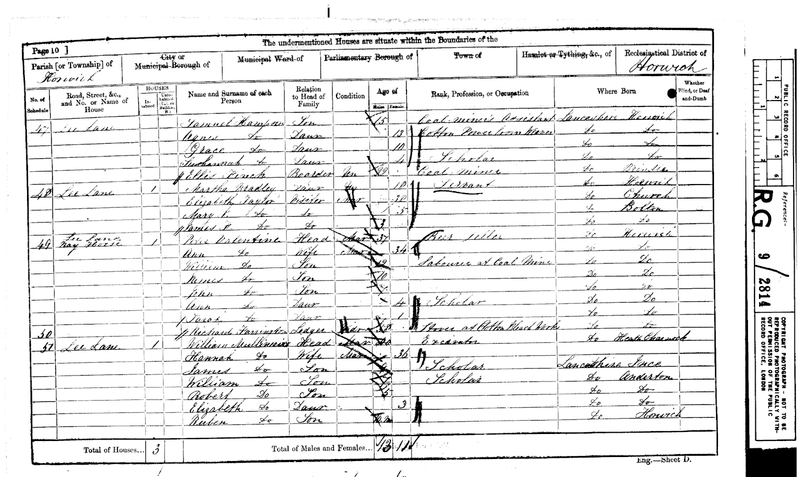 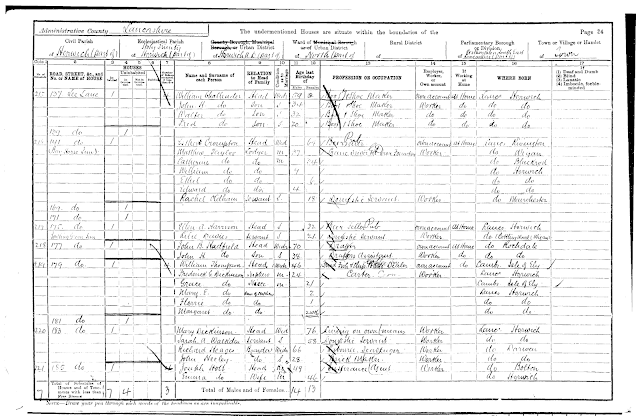 After his death in 1875 his widow Esther continued to run the beer house and did so for another 32 years until her own death in 1907. 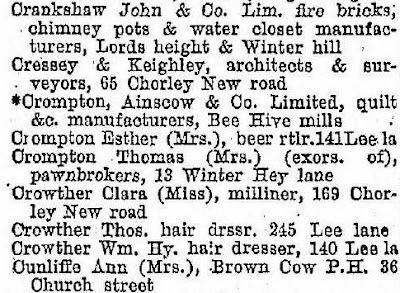 In 1881 the Bay Horse was listed at 114 Lee Lane but ten years later the numbering of Lee Lane had changed sides (along with other roads in the town) and the beer house was thereafter numbered 141. 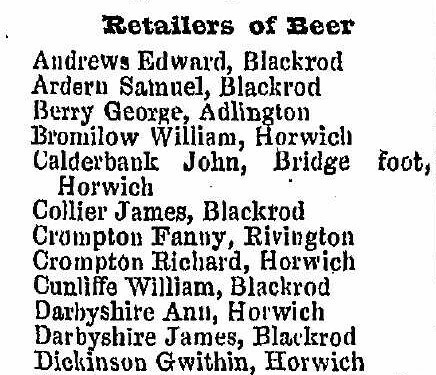 The Bay was never listed as an Inn or Tavern in the directories of the 19th century and was therefore only licensed to sell beer, one of many such houses that sprung up in the town during the mid-late 1800s. 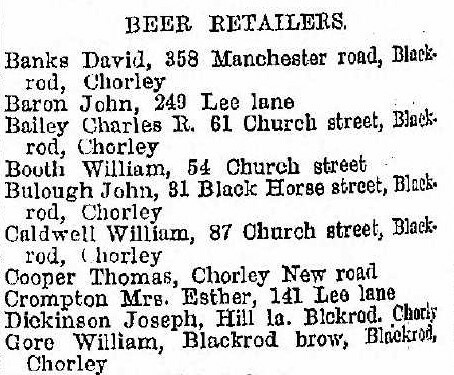 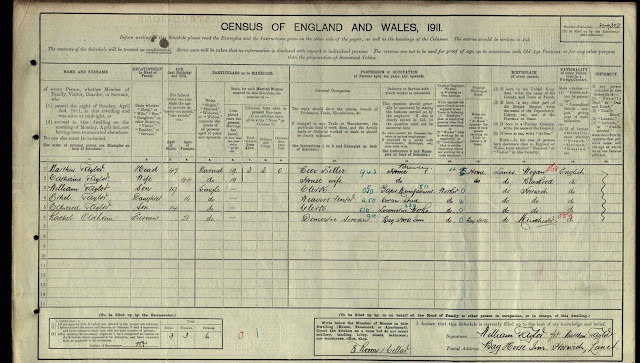 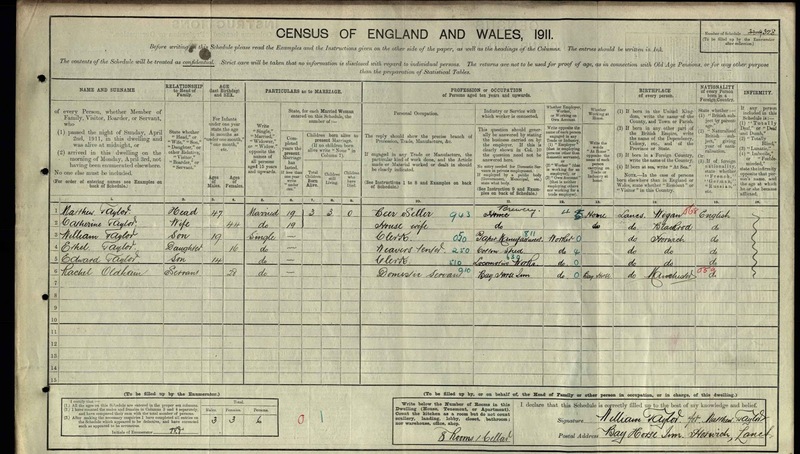 William Holt, landlord in 1924 is simply listed as "beer retailer" on the Kelly's Directory of the same year.